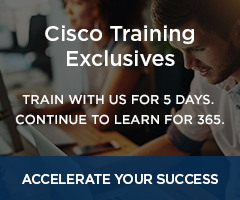 The Express Specialization is Cisco’s entry level requirement for companies that wish to sell Cisco solutions. The Express Specialization has recently been updated to provide greater flexibility allowing you to choose the track that best suits your business. The tracks are designed to enable both your sales and technical teams, allowing you to grow your business and stand out in today’s competitive market. 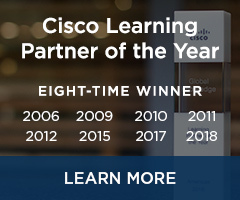 You need to attain just one Express Specialization track to become Select Certified and access the additional benefits Cisco provides for Certified Partners. Our account managers understand the specialization requirements and can work with you to evaluate your current employee specializations and capabilities and develop a training plan to help you achieve, maintain, or enhance your desired partner status. To get started call 888-326-6508 or email us at resellers@globalknowledge.com. Global Knowledge has the convenient delivery solutions you need to maintain your Cisco Channel Partner requirements. Choose classroom, virtual classroom, on-demand, or on-site delivery to support your certification goals. Cisco Express Specialization Requirements: Visit the Cisco website for additional detail on the Express Specialization including service, support and customer satisfaction requirements. Role Sharing: For the various specializations, Cisco stipulates the roles an individual can fulfill. See the Cisco Role Sharing Document for additional detail. Hybrid IT Service Requirement: Premier and Gold certifications require Hybrid IT service capabilities. 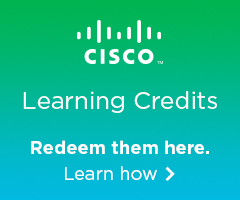 See those certification pages for additional requirement detail or view the Cisco Hybrid IT Service Guide.